The Hyper-V beginner is a practical guide to virtualization environment with Hyper-v in Windows client and Windows Server. 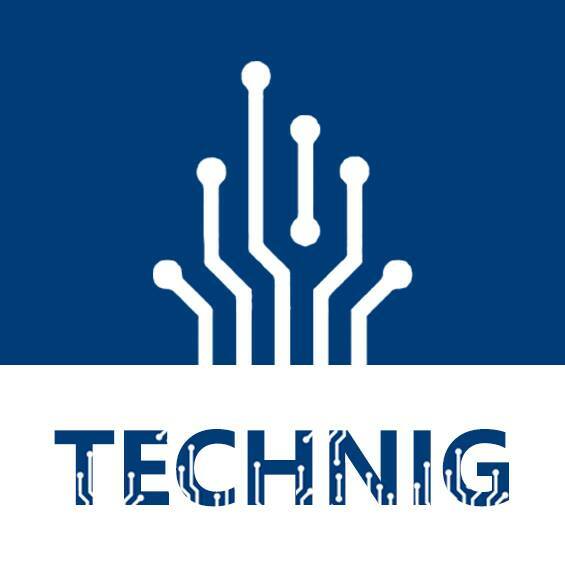 The Hyper-v role enables you to create and manage a virtualized computing environment by using virtualization technology (VT) that is built into Windows Server 2008 to 2019 and Windows 8 to Windows 10. 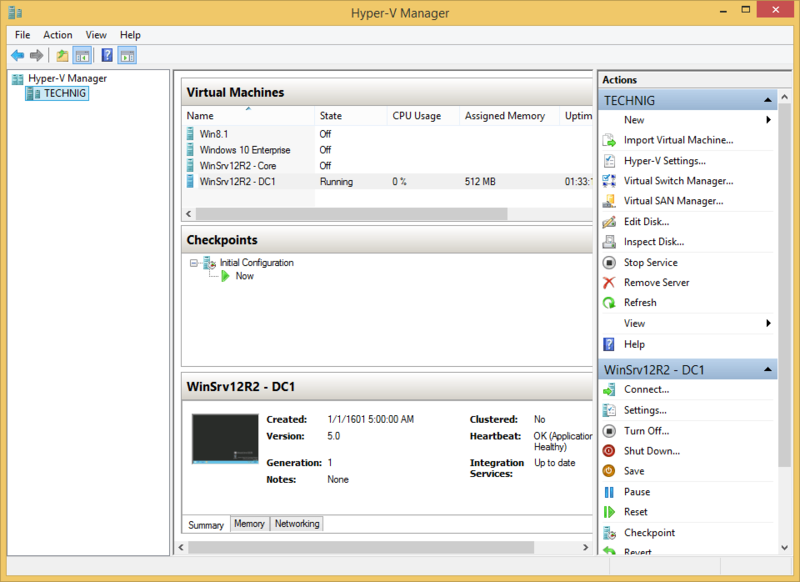 In this article, we are Installing Hyper-v in Windows client and Server. But the installation is the same on all Windows client and Server that support Hyper-v as virtualization software. Hyper-V-specific cmdlets for Windows PowerShell. Windows Server 2012 includes a Hyper-V module, which provides command-line access to all the functionality available in the GUI, as well as functionality not available through the GUI. For more information about the Hyper-V module, see the Hyper-V Module for Windows PowerShell. The installation of Hyper-v is easy, you can do the installation with PowerShell command line and graphical wizard also. 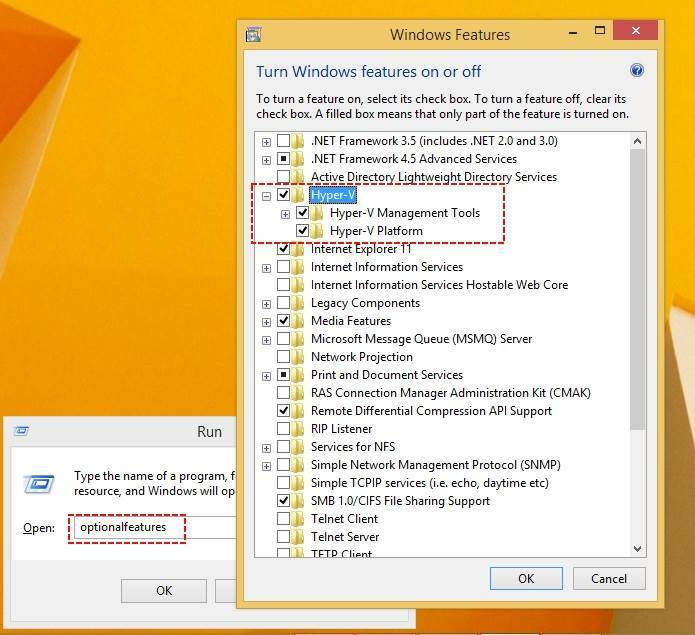 But before installing Hyper-v on Windows 8.1 or Windows 10, you must enable VT technology from your system BIOS. On Windows 8.1 or 10 press “Windows+R” to open the ‘Run” and type “Optionalfeatures” then press enter. This will open the Windows Features wizard. 2. Now, on the opened Windows features page select “Hyper-v” and two sub-features “Hyper-v Management Tools, Hyper-v Platform and click OK. When the installation has finished successfully, reboot the system. Here is the Hyper-v on Windows 8.1. 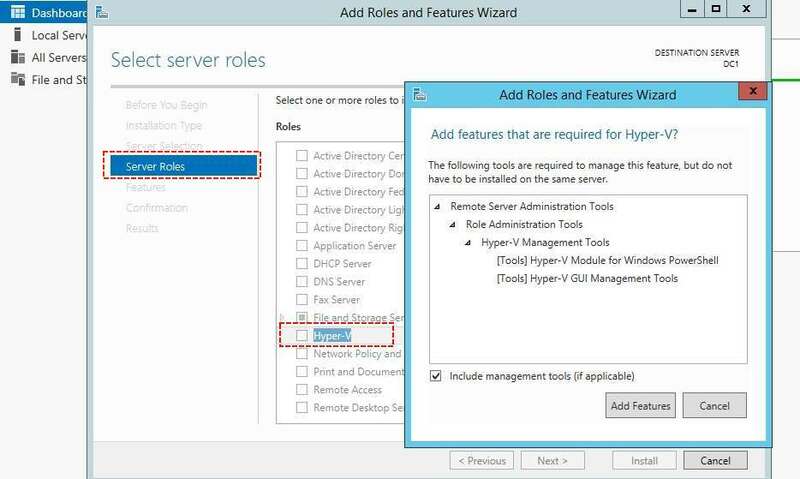 Installing Hyper-v on Windows Server 2012 R2, will do from Server Manager. From the Server Manager dashboard, click Manage > Add Role and Features then directly Server Roles. Do nothing only click next to finish the installation. After installation once reboots the system. You can install Hyper-v with PowerShell command on Windows Server with “Add-WindowsFeature” command. Done successfully the Hyper-v beginner a practical guide to virtualization. The next Virtualization article, we will configure the essential options of Hyper-v for a network Lab.